As college costs increase, many grandparents are stepping in to help. Saving for a grandchild’s education is a meaningful gift that can make a lasting impact, but there are considerations to be mindful of. Add money to an existing account. Often the child’s parents open the account and give others the option of adding to it. Open a new account and stay in control as the account owner. The last thing you want to do is make your grandchild’s tuition more expensive. That’s why it’s important to understand how 529 plans affect financial aid. Answer: B (in most cases). Because of the way financial aid is determined, it's general best if the beneficiary's parents own the account. But there's an exception. If you open a 529 account as a grandparent and your grandchild only uses the assets for the last 2 years of college, the 529 assets probably won't impact student aid at all. It all has to do with how aid is estimated based on the Free Application for Federal Student Aid (FAFSA). Each year, families fill out the FAFSA, reporting their income and assets. Colleges use that information to determine how much aid they’ll provide. In those calculations, income—especially student income—reduces aid significantly more than assets do. This is important because money in a parent-owned 529 plan is considered an asset, but a distribution made from a grandparent-owed 529 plan is considered student income. How big of a difference does it make? It’s substantial. Assets held by a parent can reduce need-based aid by 5.64% of the assets’ value. Student income can reduce aid by 50% of the amount distributed—almost 10 times as much. Here’s an example: Jen’s parents have $10,000 in a 529 plan. As a parental asset, those savings could reduce her aid by $564. But if that money came from a grandparent-owned account, it could reduce aid by $5,000. Remember that when families complete the FAFSA each year, they report income from the 2 prior years. So student income received in the last 2 years of school won’t be reported and won’t affect financial aid. Of course, financial aid is just one consideration. There are other reasons you may or may not want to remain the account owner. You can make sure the money will be used for education. You can change the beneficiary. If one grandchild decides not to pursure his or her education, you can transfer the money to another grandchild. You can take the money back. If your circumstances change anf you need the money for other purposes, you can take it out of the account. Keep in mind you'd have to pay income taxes owed. You'd also have to pay a 10% penalty on the earnings (but not the contributions). The bottom line: If flexibility and control are important to you, it may be worth opening an account as the owner. Note: If there's a chance you'll need to apply for Medicaid in the future, it might be better if you’re not the account owner. The money in the 529 account could be considered an asset for Medicaid eligibility purposes. That means your state could require you to spend it before qualifying for Medicaid. If this is a concern for you, you may want to consult a financial advisor. State income tax deductions: In many states, if you’re the account owner, you can deduct contributions from your state income taxes. In some cases, this applies to any contributor to an account. Check with your state to find out if a tax deduction applies. Gift tax exclusions. Whether or not you’re the account owner, a contribution is considered a gift to the beneficiary. As a gift, it qualifies for the $15,000 (in 2018) annual gift tax exclusion. If you want to contribute even more in one year, 529 plans allow you to “front-load” your gifts. That means if you make a contribution of up to $75,000, you can choose to treat the contribution as if it were made over a 5 calendar-year period for gift tax purposes. Note that if you do this, you won’t qualify for the exclusion again until the 5 years is up. Contributing to a 529 plan can give you a way to take an active role in your grandchild’s education. 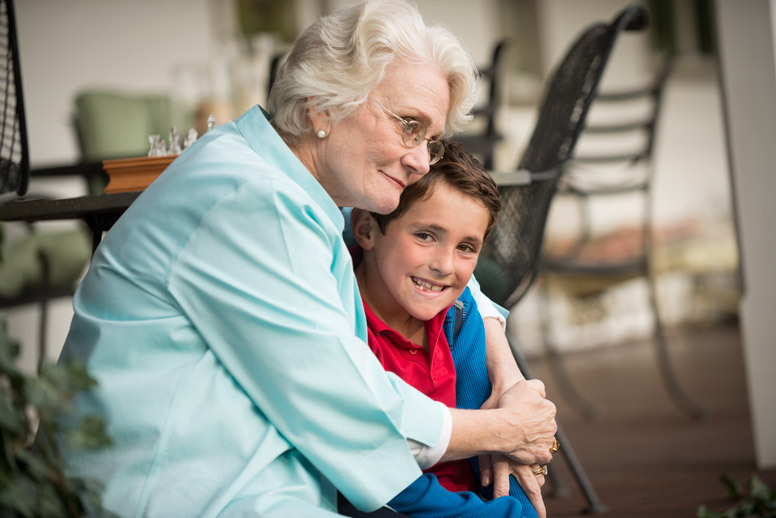 And you can feel confident you’re making a meaningful difference in your grandchild’s life. *Earnings on nonqualified withdrawals may be subject to federal income tax and a 10% federal penalty tax, as well as state and local income taxes.